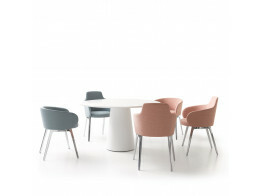 Modern Banquet seating solutions provide comfortable seating configurations for hotels, restaurants, staff canteens, student breakout environments or for use in collaborative working environments. No matter what the requirement be it bespoke or using standard units we can help you find the right banquette seating solution. 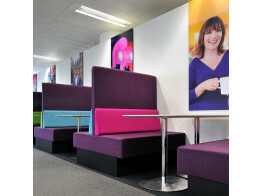 If you require back-to-back benching, single facing benches or booth seating and along the wall seating we have it all. 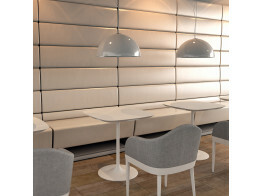 Perimeter Banquette Seating can be specified with wall mounted TV and built in power, VGA and HDMI connections.